Vertigo Triggers – What is Best Way to Cure Vertigo? 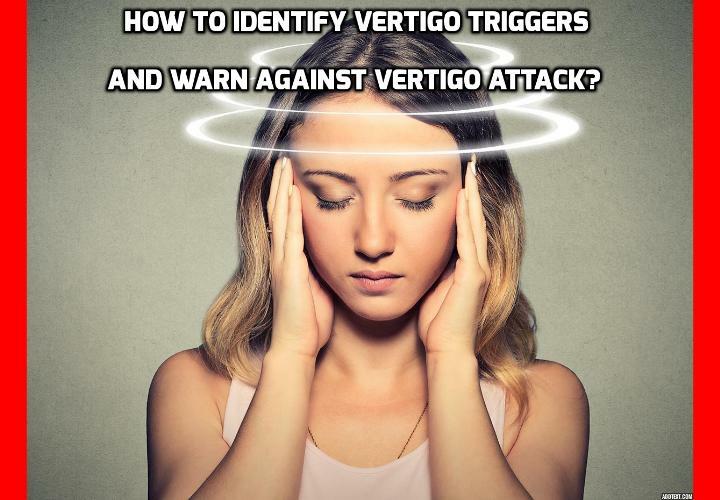 How to Identify Vertigo Triggers and Warn Against Vertigo Attack? University of Southampton researchers recently decided to do what so many scientists often overlook; namely, obtain an understanding of the disease from the patient’s perspective. In this case, they were interested in Meniere’s disease, the most common cause of vertigo. They published their findings in the journal Psychotherapy and Psychosomatics. They interviewed 20 members of a British self-help group, called the Meniere’s Society, to identify the most common vertigo triggers and coping mechanisms. Most of the interviewees expressed the frustration that they could identify only very few, inconsistent triggers. But looking at the big picture, researchers could nevertheless identify some clear patterns. Some of the most common physiological vertigo triggers were identified to be fast head movements, the action of standing up too fast, fatigue, physical stress, and the action of reading. The number one psychological trigger was thought to be emotional stress of different intensities, from the death of a loved one to work overload. While doctors normally recommend reducing salt, caffeine, and alcohol intake, there was no dietary item that the participants consistently identified as contributing to their attacks. Consequently, some of them followed the doctors’ dietary advice, while many others ignored it because of the belief that it made no difference. In general, however, they did agree that they were more likely to have attacks around their mealtimes. Most interviewees reported experiencing most of their attacks during the morning hours, especially in the first hour or two after getting out of bed. They also agreed that the severity of their attacks increased with an increase in intensity, number, or duration of the triggers. For example, writing in a slow-moving vehicle caused some dizziness, while riding in a fast-moving one caused serious vertigo. Or, being confronted with one trigger at a time caused only slight dizziness or no symptoms at all, while two or three simultaneous triggers caused mayhem. Reading while eating inside a moving vehicle, for instance.